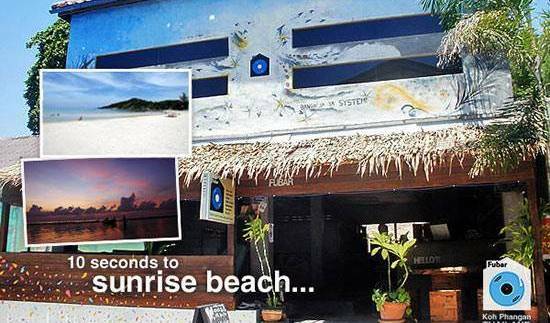 Welcome to Koh Phangan's best hostel, be ready to live the time of your life! Your room is furnished with a double bed, Queen size, TV, fridge, air-con, hot shower. You can always update to a package directly with the hostel after your booking. 3 cool travelers together. 1 single and 1 Queen size bed (for 2). Air con, TV, fridge, hot shower and a lot of FUN!!! You can update to a package directly with the hostel after your booking. Friendly travelers only! If you choose this accommodation you will share the room and the bed Two single beds are furnishing this bedroom. Hot shower, TV, Air con and fridge. You can update to a package directly with the hostel after your booking. Road Trip Hostel is open since December 2016. It has a great location - only 1 minute walk from Haad Rin Beach where the famous fullmoon party takes place. The Hostel is easy to find with only 5 mintues walk from Haad Rin Pier. 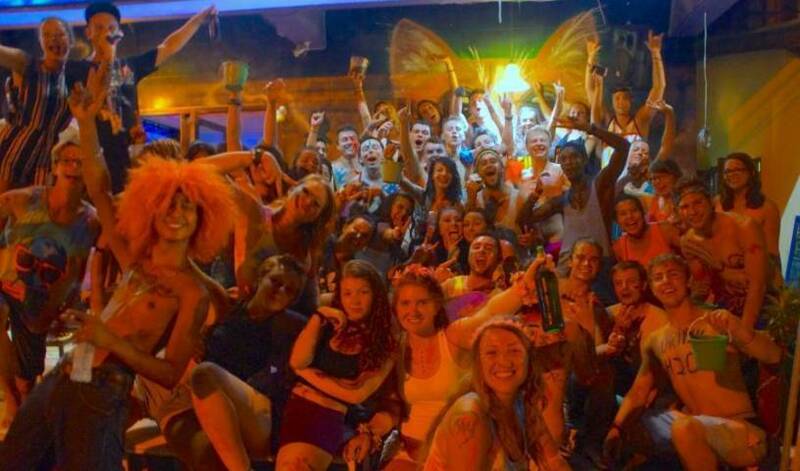 Fubar is a musical boutique full moon hostel/bar situated at the heart of the full moon party, Koh Phangan. A warm, friendly, chilled atmosphere awaits you at Fubar - the established designer hostel that is European-managed and energy-orientated. Our 12-bed dorm has AC, lockers, linens & towels and is connected to 3 outside bathrooms with hot showers. Our 8-bed dorm has AC, an ensuite bathroom with hot shower and an additional toilet. There are lockers inside the dorm. Beds come with linens & towels. Our 4-bed dorms with garden view are more quiet as they are not facing the street. Dorms have AC, an ensuite bathroom with hot shower, lockers, linens & towels. Koh Phangans Largest Party Hostel. We advise you book in advance due to our popularity. Sleep 4 people and have an en-suite bathroom. Our bunks are custom made and have been designed with the adult traveler in mind. Each bed has extra headroom, inbuilt lighting, personal charging points and individual safety deposit box in the room. Your Balcony leads onto our stunning garden, giving you plenty of opportunity to mix with other guests. Clean and comfortable with two single beds. Every room has a private en-suite bathroom (with hot shower), garden view and totally private balcony. Built in storage means you are not tripping over your baggage. Each room sleeps 2 comfortably, but there is room for an extra bed if you need it (charged at 250 Baht per night). Three single beds so perfect for a group of friends. Built in storage means you are not tripping over your baggage. Comes with en-suite bathroom and totally private balcony, There is room for an extra bed if you need it (charged at 250 Baht per night). sleeps 3. Each room has a double bed and a single. Perfect for a group of friends or those travelling with a child. Built in storage means you are not tripping over your baggage. Comes with en-suite bathroom and totally private balcony, There is room for an extra bed if you need it (charged at 250 Baht per night). Normal rate : 500 ฿ / Night Full Moon Rate : 1, 900 ฿ / Night Standard room with A/C (Max 3 persons) Luxury wood panelled rooms with Air conditioning, Ceiling Fan and Shower with Hotwater, together with storage space, balcony/terrace, one double bed and one single bed and on suit bathrooms. Widely renowned as the "friendliest hostel in Thailand" (If not the northern hemisphere) Treechart is the best place to meet cool, chilled-out, respectful travellers. We're all about the vibes here! Situated between Thongsala ferry terminal and Haad Rin party beach, Blessing Backpackers is the perfect place to come and experiencing the real Koh Phangan. Enjoy staying at Samui Heritage Boutique Resort. We serve by our heart. Luxury Beach Resort in Thai Contemporary Style furnished with full modern infrastructure. 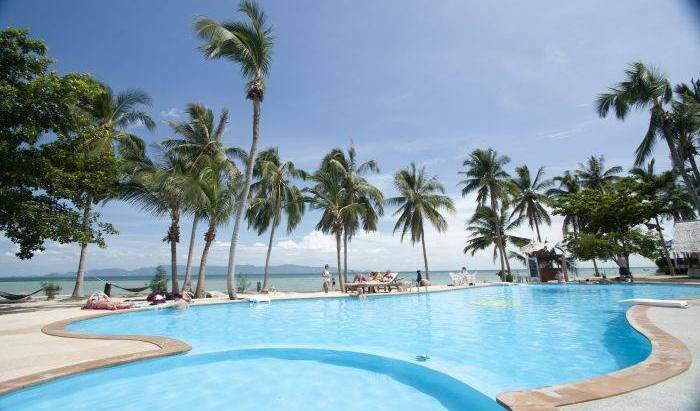 Located on Maenam beach convenient to Samui Airport, Toursit Attraction, Local Restaurant and Shopping Centre. Small boutique resort surrounding by the nature. relax and peaceful in unique style. conveniently located, the resort face the sea and back is closely to the main road, thus helping to move about freely. Superior Villa with Indoor Pool (1 bedroom), 2 bathroom, dining area, kitchenette (complete facilities), living room with Flat Screen TV, Balcony, DVD Player, Telephone, Lampshade, Fully centralized with remote control, Free toiletries and a lot more. Deluxe Villa with Indoor Pool (2 bedrooms), 2 bathroom, dining area, kitchenette (complete facilities), living room with Flat Screen TV, Balcony, DVD Player, Telephone, Lampshade, Fully centralized with remote control, Free toiletries and a lot more. Located on the spectacular views out over Koh Som and Koh Phangan islands. The Bay offers a premier living destination on Samui and only a step away from Big Buddha, Choeng Mon beach and Bangrak beach. 25 sqm. room size with Semi-opened style of bathroom (bathtub&shower) with facilities. FREE Wifi-internet and DVD movies to borrow. Air-condition, refrigerator and minibar, coffee and tea making facilities, working/dressing desk and chair, wardrobe with slipper and safety box. Welcome Drink, Fruit Basket and Breakfast for 2 persons. 33-38 sqm. with balcony in coconut garden view. Semi-opened style of bathroom (bathtub&shower) with facilities. FREE Wifi-internet and DVD movies to borrow. Air-condition, refrigerator and minibar, coffee and tea making facilities, working/dressing desk and chair, wardrobe with slipper and safety box. Welcome Drink, Fruit Basket and Breakfast for 2 persons. 45 sqm. room size with living area (Daybed) and balcony in coconut garden view. Semi-opened style of bathroom (bathtub&shower) with facilities. FREE Wifi-internet and DVD movies to borrow. Air-condition, refrigerator and minibar, coffee and tea making facilities, working/dressing desk and chair, wardrobe with slipper and safety box. Welcome Drink, Fruit Basket and Breakfast for 2 persons. 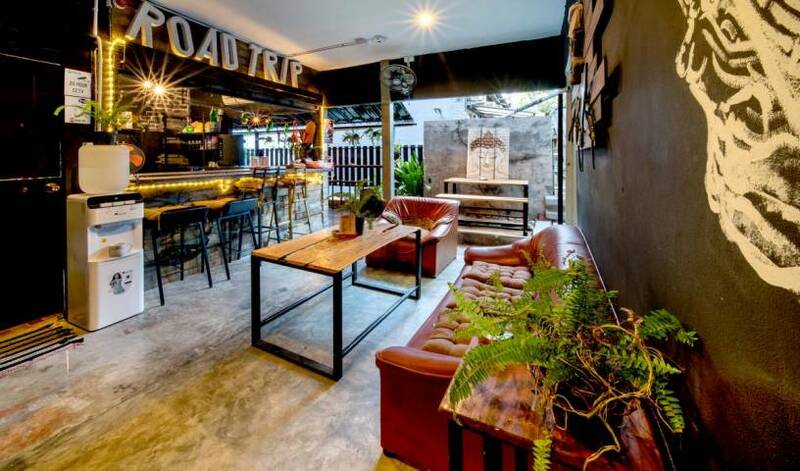 Saver Guesthouse in the heart of Chaweng offering the lowest cost for the budget traveller. 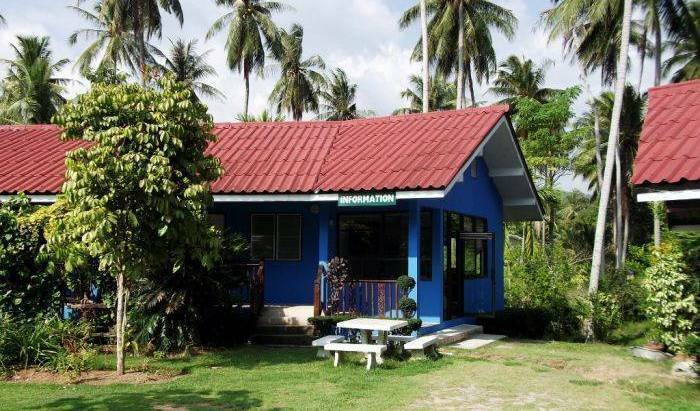 First Bungalow resort is located on the connecting of South of Chaweng Beach and Chaweng Noi Beach, approximately 7 km. Our First Room are in the building near our Sea View Bungalow Area and is just 3 minutes walk in chaweng beach and our First Restaurant. All these rooms are fully equipped with facilities including electronic safety box, electric kettle, & a complimentary coffee set. Deluxe Rooms are in the resort's main buildings have thier own balconies and also all enjoy views of the tropical garden and/or pools. All of 42 Beach Bungalow are located directly on white sandy Chaweng noi beach. Our private beach is an ideal spot to watch sunrise over the ocean waves and sunset in the backdrop of the push tree groves on the main land behind. With a king size bed and a comfortable day bed. Rate is for two person only. On request extra child/person charge extra.